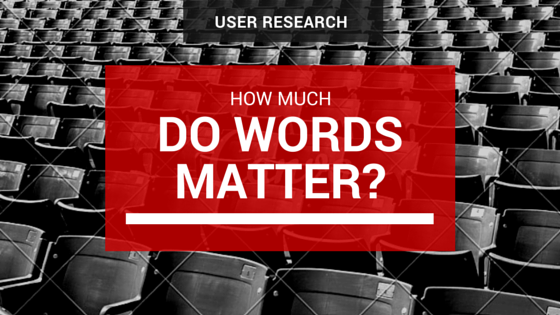 Usability and User Experience Research: How Much Do Words Matter? Author Info:- [ES] Co-fundadora de UsabilityChefs.com. Profesional con más de 10 años de experiencia en Internet (usabilidad y experiencia del usuario, e-commerce, SEO, optimización, web analytics). - Bachelor of Business Administration, Université Laval, Canadá. - Magister en Diseño Avanzado (MADA), Pontificia Universidad Católica de Chile. [EN] UsabilityChefs.com Co-founder. 10 years experience in Internet and digital channels management (usability and user experience, e-commerce, SEO, optimization, web analytics). Bachelor of Business Administration, Université Laval, Canada. Master of Advanced Design (MADA), The Pontifical Catholic University of Chile, PhD Student in Human Computer Interaction (HCI).